Richard Weaver's dictum, "Ideas have consequences," is true both as regards a society and as regards an individual. Another way to put it would be to say, "We live as we think." If this is true, then it would seem that all Catholics would live as Catholics, for surely the Faith they profess represents what they truly think. But we don't always live that way. Part of the problem, of course, is that original sin makes it hard for us to resist the triple allurements of world and flesh and devil. With all due respect to their powers, however, these efficient tempters are not the entire cause of the often un-Catholic actions of many Catholics. Our lives give disturbing evidence of our basic failure to cultivate a Catholic mind - our failure to shape our thinking so that it is really Catholic in every area. Orthodox Catholics are aware that they must ensure that their theology is faithful to the Church's Magisterium. Generally also, they know that their philosophical ideas should be in harmony with the mind of the Church. And they know they must try to five according to the Church's moral teachings. All this, of course, is a sine qua non. Yet there is more, a vast area often overlooked, an area crucial to the formation of a true Catholic mind. If we were entirely logical beings, knowledge of the true principles of theology and philosophy would be sufficient to guide nearly all our thinking. We would simply deduce everything else from the first principles rooted in these two disciplines. But since Adam fell, such a rigorous but simple procedure has not been the way for most of us. Theology and philosophy are necessarily studied at a very abstract level, for by their own nature they do not usually deal with particular and concrete things. And because of this, too often Catholics are content to have their most abstract intellectual principles correct, and to order their personal lives properly, but in the area of thought that concerns many of our judgments about politics, society, and economics, we are content to take in our opinions from the culture around us. For example, from the principle that the Catholic Church is the Mystical Body of Christ, a kind of continuation of our Lord's Incarnation, we might come to realize that the most important conflict in the history of mankind is that between the Church and the world, and by extension, that between Catholic civilization and nonCatholic. But many Catholics are used to thinking in other terms, in terms of trade blocs, of "backward" or "advanced" nations, of the "march of freedom," as if these were more fundamental concepts. A term like "the Third World" lumps together two such different countries as Peru and India, as if the most important thing about them was their level of economic development. This is a materialistic judgment, presupposing that material things are the most important index of a country's attainments and character. Or take the term "the Free World." The Cold War notion of the Free World presupposed that freedom (of what sort?) was the most important characteristic shared by a group of nations of whom none happened to have a Communist government. Yet as regards both politics and culture, is it fair to put secularist Sweden in the same column with Catholic Costa Rica? Are not their differing religious cultures at least as important as the fact that both are non-Communist? Or take our favorite domestic categories, "liberal" and "conservative." In the U.S. today nearly every question is presented as if there were only two approaches, liberal and conservative. Any other qualifiers, such as radical or extreme or whatever, are assumed to denote simply a difference of degree. Yet where did this sort of analysis come from? Should a Catholic simply accept this secular conceptual straitjacket and allow all questions to be framed for him in terms that often enough give him simply a choice between two errors? How does a modern Catholic develop a Catholic way of thinking in such vital areas of politics and culture? In this century we have been blessed with outstanding authors whose minds are truly Catholic, and in this essay I will look at a few of them to see how they can help us to form Catholic minds for ourselves. 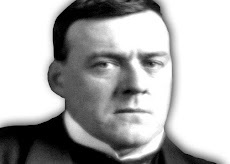 In the first place I offer two books by Hilaire Belloc (1870-1953), Essays of a Catholic and Survivals and New Arrivals. (Both are available from TAN Books, 800-437-5876.) Belloc, one of the most important Catholic writers of this century, was neither a theologian nor a philosopher but chiefly a historian. Yet even in his strictly historical works the value lies as much in the Catholic background of his presentation as in the historical narrative itself. For Belloc, one goal is always paramount - to make it possible for the reader to see the world through Catholic eyes. People are fond of distinguishing between "Celtic" and "Germanic" and "Slav" characteristics. Latterly there has arisen among silly pedantic people a talk of three supposed divisions, "Alpine," "Nordic" and "Mediterranean"; we shall not have long to wait for some new fashion in this sort of nonsense. It changes every few years. There is a Protestant culture and a Catholic culture. The difference between these two is the main difference dividing one sort of European from another. The boundary between the Catholic and Protestant cultures is the great fine of cleavage, compared with which all others are secondary. Now, obviously, some of this is dated. For the most part, today's commentators classify everything on the basis of degree of "economic development," not some presumed "racial" qualities. And, sadly, the Catholic cultures of Europe that seemed to be reviving when Belloc wrote are now mostly dissolved into their own post-Catholic secularism - a hedonism with no Puritan overlay. Nevertheless what Belloc writes here is important. For he is teaching us that the great conflicts are always religious, and that the greatest one is that between the Catholic Church and everything else. Industrial Capitalism is a manifest evil. It cries out against our sense of justice, its products offend our sense of beauty, the society based on it is not only vile but increasingly unstable. It came into existence through Calvinism, which was the vital principle informing all the revolt against the Faith at the origin of modem times. There Belloc gets to the heart of industrial capitalism and of why it is inimical to a Catholic social order and culture. His criticism, despite the decline of manufacturing in the U.S., is still relevant, for our civilization is still the civilization of industrial capitalism, even though it is computer chips we produce now, not steel. And since we all must live within this kind of civilization, we would do well to understand it in terms of the Faith, not in terms of theories about economic development, theories which contain materialistic presuppositions opposed to Catholicism. The philosophy that animates this civilization is exposed by Belloc in Survivals and New Arrivals (originally published in 1929). Here he considers various intellectual attacks on the Church; for example, the attack made in the name of experimental science, the attack made by Protestant fundamentalists, the attack of skeptical philosophy, and the attack made by nationalism. One finds here a very interesting summary presentation of the general state of Western intellectual life in the first half of this century, as well as a few remarkably prescient predictions about things to come. But one also finds that most of the enemies of the Faith that Belloc identified long ago are still active, especially the main enemy, which he calls "the modem mind." (Though Belloc is uneasy about the term "modem mind," since this way of thinking is not universal in modem times, he uses the term for its convenience.) What he means by the modem mind is something "wholly negative." It is a mind whose way of operating "renders religion unintelligible. Its effect on religion is like that of an opiate on the power of analysis. It dulls the faculty of appreciation and blocks the entry of the Faith." It may not be universal, but we encounter this mind all around us. How many times have we attempted to discuss the Faith with a neighbor or co-worker, only to be met, not with counterarguments but with complete lack of interest, an indifference to the very questions of whether there is a God or of how anything at all came to exist or of what will happen after we die. Or at best, we are treated to some glib psychologizing, and are informed that we accept the philosophical arguments for God's existence only because we need them to be true - the "crutch" argument. This is the modern mind in action. The chief subjects of elementary instruction are reading and writing. Therefore a weakness or incapacity in these two departments becomes the test of inferiority. One nation may build, sing, paint fight, better than another; but if it has a larger proportion unable to read, it is branded as the lesser of the two. A Spaniard of Estramadura may carve stone images as living as those of the thirteenth century, but if he cannot read, the "Modem Mind" puts him far below the loafer picking out racing tips in his paper. Here is an attitude that even orthodox Catholics are likely to share - that literacy is good in and of itself, regardless of what is being read, and that countries are "backward" if their literacy statistics aren't up to snuff. The mere mechanical act of reading - be it a trash novel, a horoscope, or a computer screen - has somehow become transformed into something mystical, a quasi-sacrament in the doctrinal system of the modem mind. A Catholic mind ought to be able to see a little deeper into things than that. It is good mental exercise to read Belloc's book and then to pick up almost any current publication - Time magazine serves exceptionally well - to find examples of the modem mind in action. Reading Belloc is an excellent and entertaining way for a Catholic to begin to sort out just how much of his mind is modem and how much is Catholic. Next I turn to a work by Christopher Dawson (1889-1970), The Dynamics of World History (available for $12.95 from Sherwood Sugden, 315 Fifth St., Peru IL 61354), a collection of essays edited by the late John Mulloy. Dawson is perhaps the greatest Catholic historian of the century, and this book is a rich sampling of his writings which includes the sterling essay "Catholicism and the Bourgeois Mind." The bourgeois mind! This is a subject we have not heard much about since the Communists put up the white flag of surrender. Is Dawson's piece limited in its application to the 1930s, when it was originally published? Are we not all happily bourgeois now, all upholders of capitalism? 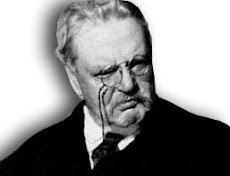 Listen to Dawson: "There is a fundamental disharmony between bourgeois and Christian civilization and between the mind of the bourgeois and the mind of Christ." There is no longer a need for apologetics to counter Communist propaganda, but there remains the greater question of knowing and living the truth. 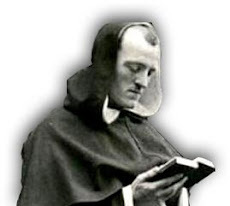 And Dawson, like Belloc, saw that the way of life promoted by the Catholic faith and the way of life promoted or assumed by the culture of the modem West are incompatible. The reader in search of a Catholic mind will realize, on reading this essay, that many of the criticisms we hear leveled at suburban, middle-class, comfort-seeking American life - criticisms that we habitually associate with socialists, bohemians, and radicals of all sorts - actually have a source very close to the heart of the Faith. The Faith, far from being a weekend hour of uplift, a tidy part of bourgeois existence, is the only real alternative to it. Only if we grasp this will we begin to understand the Catholic approach to society and culture. And only then will we see the Faith for the vibrant, beautiful, living thing it is, rather than a stale serving of warmed-over platitudes to be dished up on Sunday. The distinctive features of the bourgeois mind, according to Dawson, are its urbanism and resulting divorce from nature, its concern for money and resulting tendency to value things only according to how much they can be sold for, and its cult of respectability. "The ideal of the bourgeois culture is to maintain a respectable average standard." it attempts nothing great, it does not love, certainly not God, but it does not love anything that would endanger its comfortable routine. It does not understand the kind of man who would risk all for the Pearl of Great Price. But it does thoroughly understand economic man, the one who is always on the lookout to buy cheap and sell dear. There is always a temptation for religion to ally itself with the existing order, and if we today ally ourselves with the bourgeois because the enemies of the bourgeois are often also the enemies of the Church, we shall be repeating the mistake that the Gallican prelates made in the time of Louis XVIII. Unfortunately, Dawson's contemporaries did not heed his words. In the 1960s there was a brief - real but misguided - revolt against bourgeois civilization on the part of many, especially young people. Failing to find an alternative, most of the revolutionaries eventually settled for the bourgeois order, now transformed with a large dose of hedonism and self-indulgence. Where were the Catholics with a vision of an order that is really different? The revolutionaries of the 19 60s, for want of anywhere else to go, eventually returned and made the bourgeois order even more bourgeois. Today, the shapeless alienation of Generation X will end the same way, unless somehow the real Catholic vision can be put before them - as Pope John Paul II strives to do in his many addresses to the youth of the world. In the 1960s the revolt was in many ways a distortion of a healthy impulse. In the disaffection of today's youth there is a taint of decadence, a deliberate choice of something corrupt. It may thus be that much harder to direct them toward the good. But it is worth trying. There is no generation and no age for which the Just One did not suffer and die and rise. The last work I'll mention is a more recent one, Catholicism and Secularization in America, edited by David Schindler (available from Our Sunday Visitor, 800-348-2440). This volume, a collection of papers, most of which were first delivered at a conference sponsored by the quarterly journal Communio, presents issues related to those discussed above but emphasizing the specifically American context. One of the suggestive papers here is that of Glenn Olsen, "The Meaning of Christian Culture, a Historical View." Olsen, who has written for the NEW Oxford REVIEW, offers a very good introduction, especially for Americans, to the problem of the connection of religion and culture. Both Belloc and Dawson, for example, assume the necessity for a culture to have a religious foundation. But we in the U.S. have never been entirely comfortable with this idea. Many elements in American life, beginning with the Founding Fathers and the First Amendment to the Constitution, have rendered religion in America either an entirely private affair or, to the extent that it has been public, something entirely vapid. The nation puts "In God We Trust" on its coins while it allows the murder of millions of unborn children and rigorously excludes serious religious discourse from public life. The American civil religion is typified by the meaningless "God bless you" often uttered by politicians at the end of a speech. Olsen's essay is a sustained critical examination of this privatization of religion, with a historical examination of such early Catholic thinkers as Athanasius, Ambrose, and Augustine. Although I do not entirely agree with all of his conclusions (for I would go further than he does), his essay is an excellent starting point for discussion, especially for those many Americans who have never stopped to question the American approach to the problem of the relations of Church and state. A full Christian life is one lived out in one's art, one's politics, the form one's city takes, and any check placed on public expression of one's Christianity is an attack on the possibility of living an integrated life, an attempt to disallow Christian maturation. It is patent that in the U.S. we have never had such a fully Christian order, nor have we even desired it. It is true that in the past there was a kind of pan-Protestant consensus about many matters. But to read the documents of the American political tradition is to see the very small role - if any - that God plays there. There is, of course, the reference to "nature's God" and the "Creator" in the Declaration of Independence. But of what further significance are these mentions of God? Can anyone claim persuasively that the American public tradition has really used Christian doctrinal concepts in understanding and discussing public events? It is one thing, of course, to admit that, on a religiously divided continent, it was impossible to establish a Christian res publica. But it is quite another thing to celebrate this impossibility - to regard, as the Founders did, the multiplicity of religious sects as a positive good, as something that would help keep any one "faction" from dominating public life. The ideal of a sacralized political order - of a Christendom (this does not mean a theocracy) - has usually seemed strange to American Catholics. And now, with the best will in the world, it would be impossible to set up such an order anywhere, let alone in North America. But again, if we would be Catholic in every area of life, we must confront squarely the claims of Christ the King over the political order. It is not just the antique statements of an Ambrose or an Augustine that raise this question; authoritative papal teachings from the 19th and 20th century state the same thing. We must at least consider the matter ourselves, even if we are never able to create a satisfactory Christian order in the mundane world of our own time. For the Catholic mind is, above all, mindful. It takes into account truths, obligations, and values that the modem mind, the bourgeois mind, and the American mind have discarded, suppressed, or forgotten. The truly Catholic mind is grounded in what is deep and perennial and is formed by an acute sensibility to the true content of human nature and of the world. By comparison, these newcomer minds often seem mindless. Yet insofar as our minds are only partly Catholic, we are liable to neglect the topics discussed by Belloc, Dawson, and Olsen. We may exhibit personal rectitude; we may grasp the first principles of Christian theology; yet we are all too likely to hold non-Catholic ideas on essential socio-economic, political, and historical questions. We may be unwittingly of two minds or three minds precisely where our mind should be one. It is our duty to understand where and how our minds are divided and to learn to think with the Church, both where that comes easy and where it might make us uncomfortable with the society in which we live. For, as the Epistle to the Hebrews says, here we have no lasting city. If we are to attain Heaven, sooner or later we must be purged of any un-Catholic notions we possess. It is not too soon to begin giving them up now. Thomas Storck is a Contributing Editor of the NOR and author most recently of Foundations of a Catholic Political Order, published in late 1998 by Four Faces Press in Beltsville, Maryland.